So, those Game of Thrones video game adaptations so far are, at best, mediocre, but you're wanting a good political intrigue tale with knights and swords and maybe some super natural forces? Well, I've got three games you should check out then. Suikoden 2 is about two young men who get caught up on the wrong side of a plan hatched by their country's murderous prince to reignite a war. In your efforts to warn the enemy you once warred with, you are bestowed a True Rune, for you are a key player in these momentous times. With this responsibility you are also tasked with collecting the 108 Stars of Destiny, people who will help you in your endeavor. Over many hours, egos of heads of state get the better of themselves, plans fail, battles are won, and assassinations are foiled. Though interspersed with comedy, the game loves to keep it's main storyline somewhat adult. Combat is settled in three different ways. Primarily is the your typical jRPG fare. However, unlike most other jRPGs, mana is limited and you have up to six allies with you. The big difference is that certain allies can combine together to deliver devastating blows to your foes, but these attacks can leave one or more of your allies defenseless or other drawbacks. Also, because of how the game works you do not have to grind much at all, if at all. The second way encounters are handled are grid-based tactical battles that occur as the story needs them. Though being a smart commander will get you through most of these battles, successfully recruiting more of the 108 stars will get you some commanders that will offer benefits to units making a hard battle much easier. Finally, some scenarios will require you to duel someone in a 1 on 1 fight settled by a rock, paper, scissors system. Long out of print and sold nowhere digitally, Suikoden 2 is nigh impossible to find. However, Suikoden 1, while not being as good, is still pretty good and I'd recommend it. Suikoden 1 can be found on PSN. The Fifty Years War has recently ended, but the land is in upheaval. Lords left their soldier to the wayside and in an effort to survive have resorted to thievery, gangs, and joining groups bent at overthrowing the nobles. 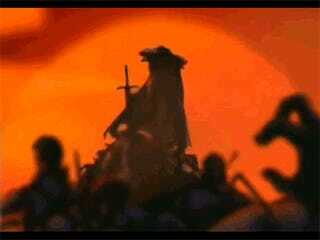 Worst of all, the new king has died and lords prepare their plots to take the newly vacated throne. A new war threatens to rend the land once again. You, a noble, are a cadet in the military academy with your best friend Delita, a commoner. You have been thrust into battle and during your journeys you uncover something you were never supposed to know and come to question your family and other nobles. A dark plot lies in the shadows, waiting for it's horrors to be discovered, and only you have the will to stop it. Combat is settled via turn-based combat on a three dimensional grid. Rather than just being about vying for position, you can strengthen yourself and your allies through leveling and choosing differing vocations. White mages, archers, knights, geomancers, and more, your ability to approach a fight how you want is only limited by how much time you want to put into the game. 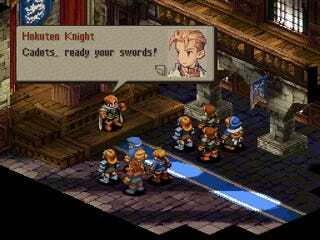 Final Fantasy Tactics can be bought off of PSN in it's original version, or in the PSP re-release version for PSP/Vita. The re-release features new cinematics, a new class, and sadly features slowdown during spell casting. Also available on iPad/iPhone. Finally, okay games in their own right, but don't go into the GBA and DS sequels expecting a political plot. They're very kid oriented. Someone is assassinating kings and during a campaign your liege was nearly the next victim if not for you. You are Geralt of Rivia, a Witcher, a man trained and altered to fight monsters. Your king campaigns to reclaim his illegitimately sired children, and things have gone horribly wrong. Confused as an assassin you must flee and find the true perpetrator and settle the disputes of elves and men. The Witcher 2 is a western action RPG, this means that your choices will have a major impact on the story and how it resolves. Furthermore, combat is an action oriented affair and you will have to solve disputes with your swords and your magic signs in real time. The game can be very hard, so don't expect to waltz through every fight just mashing the attack buttons, you'll have to dodge, block and think ahead. Being an RPG you can increase the effectiveness of your skills in battle and can choose just how to increase them, favoring one approach to battle over another. Being a Witcher game, this means there's going to be as many breasts in it as your typical episode of Game of Thrones. The Witcher, if you so choose, will also sleep with quite a few of the ladies of the land, some human, some not. This is decidedly not a game to play with children present (saying nothing for the copious amounts of blood). The Witcher 2 can be bought from GOG, Steam, or most online and physical retailers. It is also available on the Xbox 360. I hope this helped someone find something to whet their video gaming appetite in regards to political intrigue in a fantasy setting. If not, I'm sure someone else in the comments will be able to add something.